We are back in FA Cup action this weekend and head to Millwall for a fourth-round tie looking to continue our adventure in this season’s competition. I’ve played at The Den before, during my time with Charlton Athletic, so I know there will be an atmosphere in the stadium on Saturday evening. Millwall are a strong side so we are expecting a tough game, but we are taking the FA Cup extremely seriously and everyone in our dressing room wants a big Cup run this season. In the last round we beat Lincoln City 2-1 at Goodison Park and I was pleased to net my first goal of the season in that tie. It’s not often I score a headed goal but I popped up with one that afternoon. 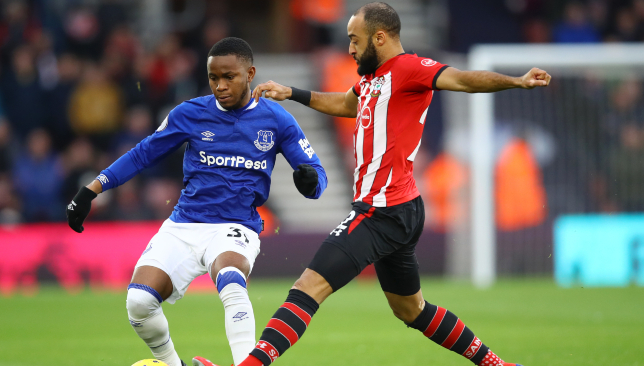 I’ve started the two Premier League matches since that match (against Bournemouth and Southampton) and I’m pleased to be making a positive contribution to the team. I love playing football – it’s something I’ve always wanted to do – so I’m happy that I’m being given the platform to do that in the Premier League. I don’t think I’m far away from producing my best displays. When you are given the chance to start a game and show what you can do, it’s vital you grasp that opportunity with both hands. For me, now, the goal has to be to keep improving every day. Our manager, Marco Silva, has impressed upon me the need to keep working hard and always look to develop the different aspects of my game, and that is what I am determined to do. It was around this time last season that I got the opportunity to go on loan to RB Leipzig in the Bundesliga. It was a different football experience in Germany, a new country for me and a new environment and I was open to that at the time. Being away from home, I think you learn more things about yourself and how you are as a person. I definitely learnt a lot during the time I was over there. I scored five goals in 11 appearances for Leipzig and I think my game improved as a result of the experience. Hopefully I can now replicate that form here with Everton. Goals and assists are important when you play in the position that I do and I know I need to add more of those to my game. After the FA Cup tie at Millwall, we face another away match in the Premier League on Tuesday night against a Huddersfield Town team that will be looking for a ‘bounce’ following a change of manager. Their players will be doing everything they possibly can to impress new Head Coach, Jan Siewert, in what will be his first home game in charge so it’s essential we match that hunger and desire to give us the best possible chance of returning with the three points. Sardar Azmoun emerged as the star as Iran eased to a 3-0 win over China to set up a semi-final date with Japan in the Asian Cup. The 24-year-old scored and provided the assist for Mehdi Taremi as Carlos Queiroz’s men made it five wins and five cleansheets in five matches in the competition. The Iranians dominated the game from the start and it showed when they took the lead in the 18th minute. Amoun stole the ball from a hesitant Feng Xiaoting and squared it to Taremi, who netted his third goal of the tournament. Omid Ebrahimi dominated in midfield for Iran and ensured they won the battle in the middle of the park. The star of the show – Azmoun out-muscled Liu Yiming and rounded goalkeeper Yan Junling to double Iran’s advantage shortly after the half-hour mark. It was more of the same in the second period as China continued to struggle after the break. Iran missed a few close chances and failed to put the result beyond doubt after the turnaround. Substitute Yu Dabao could have practically ended any hopes of a China comeback, but he missed from close range with 10 minutes remaining. Karim Ansarifard scored the evasive third goal in injury time after yet another defensive error and confirmed Iran’s qualification to the last four. However, Taremi picked a yellow card – his second in the tournament – and will miss the crucial semi-final clash. 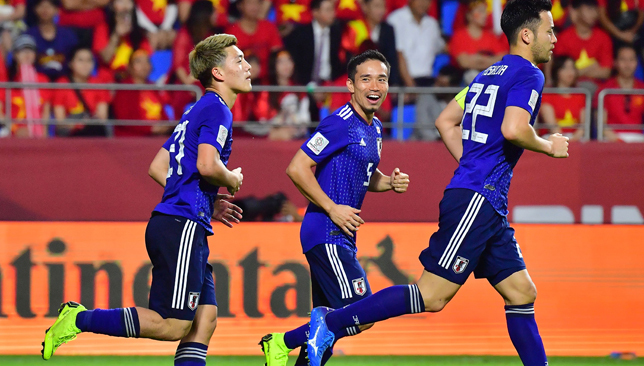 Southampton defender Maya Yoshida captained Japan to a 1-0 victory over Vietnam to secure a place in the semi-finals of the Asian Cup. Yoshida looked to have given the Samurai Blue the lead after 24 minutes in Al Maktoum when he headed home from a corner. However, the goal was ruled out following a review by the Video Assistant Referee, being used in the tournament for the first time, and it was decided the ball had gone in off his hand. On 57 minutes, VAR was called upon again after Vietnam goalkeeper Bui Tien Dung was judged to have brought down Ritsu Doan, with the Groningen midfielder getting up to convert the resulting penalty. In Thursday’s second quarter-final, Iran beat China 3-0 at the Mohammed bin Zayed Stadium, where Nottingham Forest forward Karim Ansarifard came off the bench to wrap things up in stoppage time. Brighton winger Alireza Jahanbakhsh was again in the starting XI for Iran, who went ahead after 18 minutes through Mehdi Taremi. 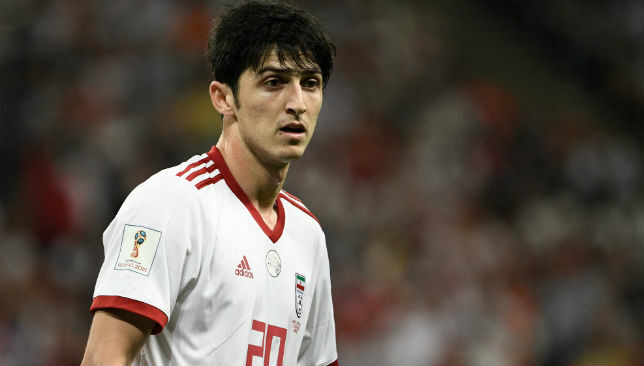 Sardar Azmoun doubled Iran’s lead after 31 minutes when he rounded the China goalkeeper, and a check from the VAR ruling there was no offside. Ansarifard, sent on for the closing stages, added a third with a low shot from the edge of the penalty area. Iran, three-time tournament winners, will now play four-time champions Japan on January 28 for a place in the final.